So I have had the Perennial Birthday stamp set for a while, but I really haven't used it as often as I planned to. I love all the sentiments, but I really love the florals. So small so detailed and perfect for coloring. 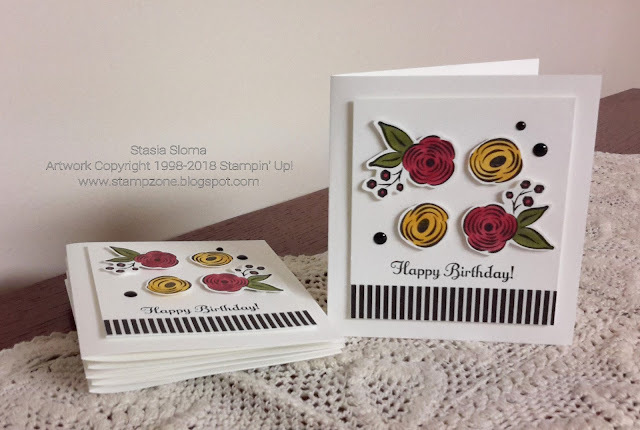 I colored them in with my Stampin' Blends. The sentiment comes from the Something to Celebrate stamp set. A strip of The Paper Studio paper and enamel dots complete the card.